Simpson 16.5 6 WAY L&L BOLT IN PULL DOWN, PLATINUM as low as $164.95. Vixen line of SFI Rated women's racing suits designed to meet the fit and comfort needs of our female racers. Simpson 5 POINT 55" BOLT IN PULL DOWN INDIVIDUAL HARNESS as low as $249.95. Select your options on next page. Simpson 5 POINT 62" LATCH F/X BOLT IN V HARNESS ROLL BAR MOUNT as low as $129.95. Simpson 5 POINT 62" LATCH F/X WRAP AROUND INDIVIDUAL HARNESS as low as $129.95. 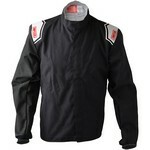 Simpson 5 POINT L & L 1/4 MIDGET WRAP AROUND PULL DOWN INDIVIDUAL HARNESS as low as $99.95. Simpson 5 POINT L & L 55" BOLT IN PULL DOWN INDIVIDUAL HARNESS as low as $129.95. Select your options on next page. Simpson 5 POINT L & L 55" BOLT IN PULL DOWN V HARNESS ROLL BAR MOUNT as low as $129.95. Select your options on next page. Simpson 5 POINT L & L 55" WRAP AROUND PULL DOWN INDIVIDUAL HARNESS as low as $129.95. Select your options on next page. Simpson 5 POINT L & L 62" BOLT IN PULL UP INDIVIDUAL HARNESS as low as $129.95. Select your options on next page. Simpson ADRENALINE HIGH TOP BLACK as low as $129.95. Select your options on next page. Simpson CARBON X BOTTOMS as low as $99.95. Select your options on next page. Simpson CARBON X HEAD SOCK SINGLE EYEPORT-BLACK as low as $69.95. Select your options on next page. Simpson CARBON X LONG SLEEVE TOP as low as $99.95. Select your options on next page. Simpson CRUISER FR HELMET as low as $299.95. Select your options on next page. Simpson HELMET RESTRAINT as low as $14.95. Select your options on next page. Simpson HELMET SKIRT CARBON X - BLACK as low as $99.95. Select your options on next page. Newly developed NomexÃƒÃ‚Â® technology with conforming stretch for improved dexterity. Simpson Jr Speedway Shark SFI 24.1 Racing Helmet. Select your options on next page. The Youth Legend II Suit is a SFI 3.2A/1 rated firesuit with pro styling and features, built specifically for the younger racers. Available in All Black. A single speed-fit closure locks away Nomex laces. Achilles relief cut for maximum flexibility. Fleece FR lining. Satin suide toe, heel and lace guard reinforcements. Triple layer anterior toe layer for added wear protection. 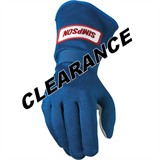 Simpson NASCAR TYPE NET 18 X 24 as low as $79.95. Simpson NEW CARBON X SOCKS ONE SIZE FITS ALL as low as $44.95. Select your options on next page. SHOULDER HARNESS PADS. Made of NOMEX. These keep the shoulder belts from digging in. Available in your choice of Red, Blue or Black. Simpson REPLACEMENT AMBER SHIELD as low as $69.95. Select your options on next page. Simpson REPLACEMENT CLEAR SHIELD as low as $49.95. Select your options on next page. Simpson REPLACEMENT IRIDUM SHIELD as low as $79.95. Select your options on next page. Simpson REPLACEMENT MIRROR SHIELD as low as $79.95. Select your options on next page. Simpson REPLACEMENT SMOKE SHIELD as low as $59.95. Select your options on next page. SIMPSON SAFETY 1012-17 Shield Amber Shark Vudo Hi-Res. Shield Amber Shark Vudo Hi-Res.